Many many years ago Andrew got hold of a trunk full of antiques. He thought it was just an old trunk, but later on he found out that inside extraordinary things were going on. Today Andrew is over 100 years old but the magic of the trunk keeps him young and to express his gratitude, he travels around the streets of towns and cities, sharing his magic with all the people he meets. 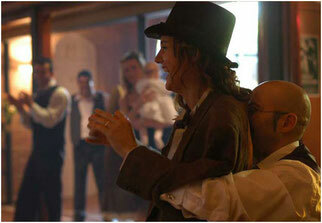 Genres: Theatrical Magic and Gestural Humor. Running Time: Variable, on or several showtimes. Technical requierements: It doesn't need any infrastructure, or stage, or power supply or even a sound system. Everything is built into the mobile platform. Genies have existed from the beginning of time even though man has not been able to see them. Sometimes, because they camouflage themselves and at others because the have the knack of becoming invisible, but they have always accompanied and inspired man throughout history. 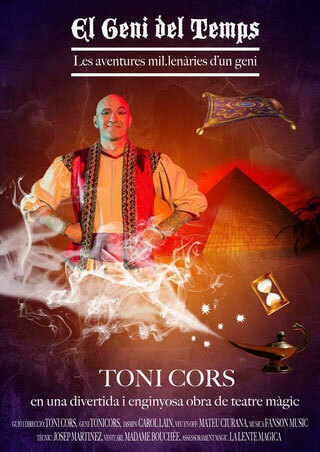 Discover through the experiences of a genie that has lived for thousands of years, the different stages of the evolution of the human being. An educational journey from prehistoric times to the modern age where, furthermore, you will find out about the importance of the 5 elements; the forces that keep the universe in balance and that the genies control. 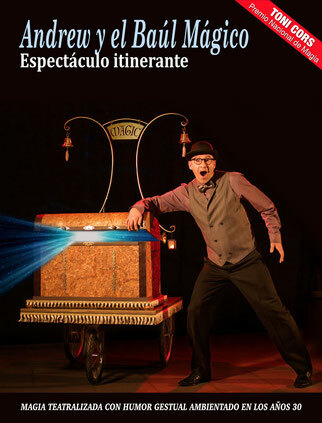 A show for children from 3 to 99 years old where humour, theatre, juggling and the magic fuse together to take the spectator to ingenious fantasy worlds. Requirements: Theatre or similarly conditioned room. From a folded paper bag, all sorts of objects come out that make life difficult for the magician, who works like a barman, until a handkerchief comes alive that will server as the magician's assistant. 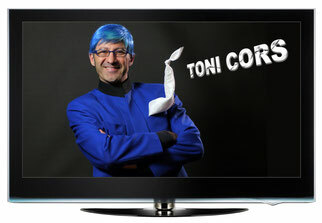 An act with a high dose of comedy that has been perfomed throughout Spain and in other European countries. Requirements: Theatre or similarly conditioned room. Ask for a rider. 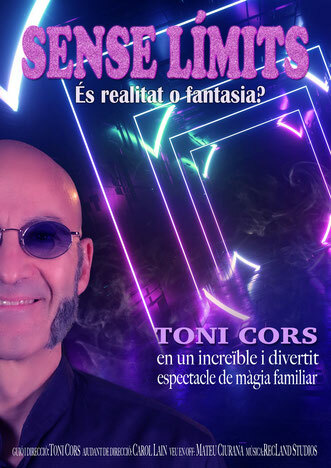 A visual magic show where you'll enjoy great illusion tricks, slight of hand and mentalism; all with a good dose of humour and interaction with the public. Two artist on stage, Toni Cors and his partenaire Carol Lain. Ideal for private parties, smaller rooms and for tighter budgets - and where the technical conditions are not the best. For children or for all the family. It's fun and dynamic. Amazing and interactive. The audience plays an important role during the show. Requirements: Just one power outlet.